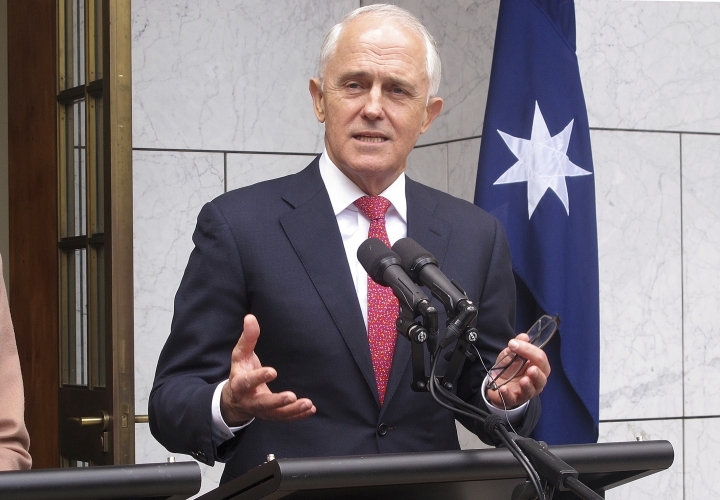 Australia's prime minister says he'll quit Parliament if his party wants a leadership ballot. 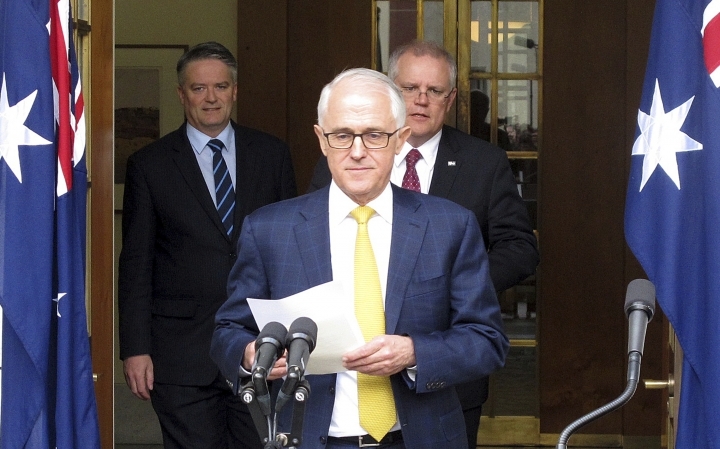 Prime Minister Malcolm Turnbull says he plans to hold a party meeting on Friday if a majority of his ruling conservative Liberal Party lawmakers want it. If that meeting calls for a leadership ballot, he will quit Parliament. That would create a by-election that could cost the government its single-seat majority or spur his replacement to immediately call a general election. The Australian government has shut down Parliament early while lawmakers in the ruling conservative Liberal Party grapple with their leadership crisis. Furious opposition lawmakers argued against the motion to adjourn the House of Representatives until Sept. 10. Opposition lawmaker Tony Burke argued that the government wanted to avoid question time, a daily period when the prime minister and ministers answer opposition questions for more than an hour. Australia's opposition has narrowly lost a vote in Parliament that would have sent the potential next prime minister to court to determine whether he is eligible to be a lawmaker. 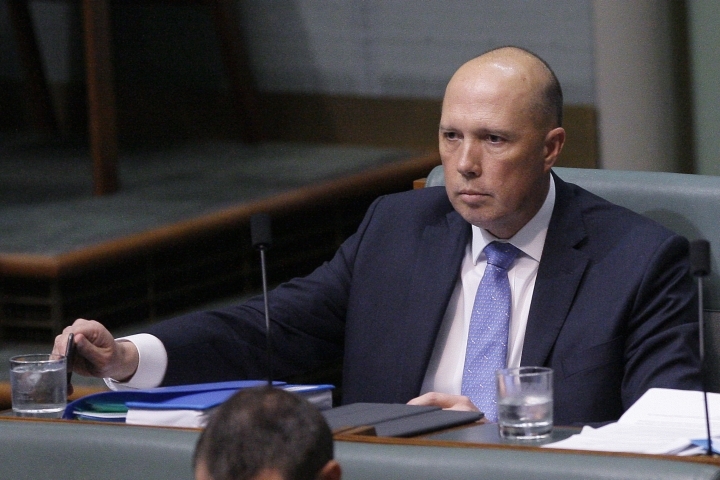 The vote to refer Peter Dutton to the High Court was defeated 69 votes to 68 in the House of Representative hours before he wants to challenge Prime Minister Malcolm Turnbull for his job in a ballot of party colleagues. Dutton has released legal advice that his family's ownership of two child-care centers that received federal funding does not breach a constitutional ban on lawmakers having a pecuniary interest in an agreement with the public service. Some constitutional lawyers say there are areas of doubt. Such a pending court case could scare lawmakers away from supporting Dutton in a leadership ballot. Government lawyers are investigating the case. 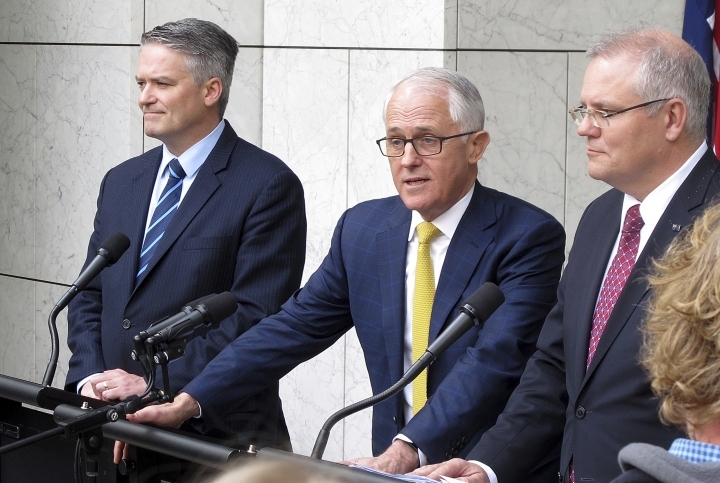 Mathias Cormann, Michaelia Cash and Mitch Fifield made their positions public on Thursday in a major blow to Prime Minister Malcolm Turnbull's chances of surviving his current political crisis. Former minister Peter Dutton has told Turnbull that he wants lawmakers in the ruling conservative Liberal Party to elect a new prime minister on Thursday. Australia has had years of political instability since Prime Minister John Howard lost power in 2007 after more than 11 years in office. No prime minister has lasted a full three-year term since. A government lawmaker has called on Australia's prime minister to give him a second chance to replace the premier in a leadership vote. Peter Dutton said he told Prime Minister Malcolm Turnbull on Thursday that he no longer had the support of a majority of lawmakers in the ruling conservative Liberal Party. In a surprise vote of ruling lawmakers Tuesday, Turnbull defeated Dutton by 48 votes to 35.